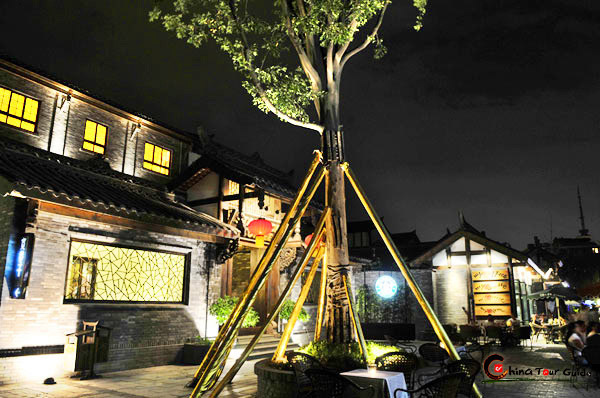 Chengdu's entertainment scene is a mix of the traditional and contemporary. 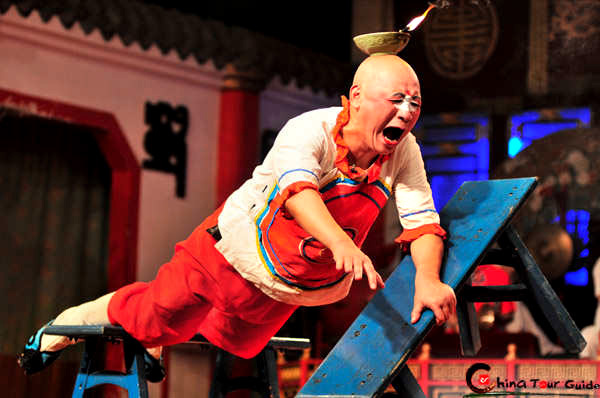 The primary form of traditional entertainment in Chengdu is Sichuan Opera. 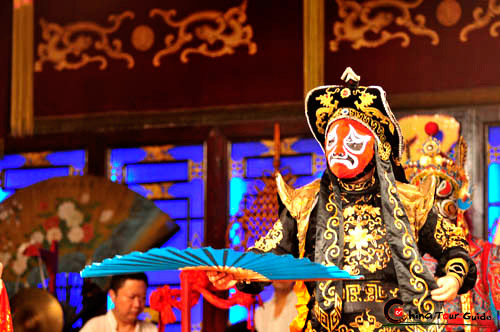 The best places to enjoy Sichuan opera may be the Chengdu Theater on Minzhong Road and the Jin Jiang Theater in the Sichuan Opera Art Center on Huaxingzheng Road. The teahouses have formed an integral part of the city's life and culture for centuries, and there are hundreds scattered. These provide a laid back meeting place where the elderly particularly enjoy passing the time over a cup of jasmine tea and a game of cards or Chinese chess. 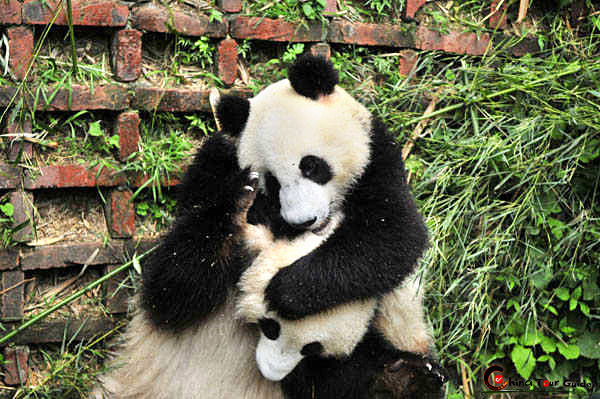 Thanks mostly to the stream of travelers who use Chengdu as a stopover on the trail to Tibet, a lively bar scene has emerged. There are usually a few open no matter what time it is. Sichuan opera is a favorite for foreign and Chinese tourists alike. As one of the oldest and most interesting opera forms in Southwestern China, it is a perfect blend of local dialect, customs, folk music, and dances blended from different regions. Known for its humor and dynamic atmosphere, an integral part of every performance is "changing faces." The character is often a villain who changes his face to escape recognition. The reputed record is 14 changes in 24 seconds. The actors are so skillful that the face changing is barely perceptible to the audience. Over its 300-year tradition, the trick has changed, but it has always been a closely guarded secret within the operatic community. Traditional stick puppets and flame balancing are also incorporated into the drama. As recreation centers, tea houses are especially worth mentioning. Distributed throughout the city, tea houses offer more than only genuine Chinese teas. They are places for relaxation and social activities. Sometimes a few tea houses host free Sichuan opera performances. 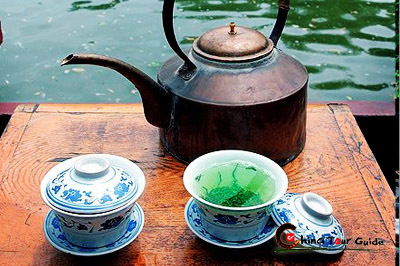 Yuelai, Heming, Dabei Temple, and Wenshu Temple tea houses are a few of the more famous in the city. 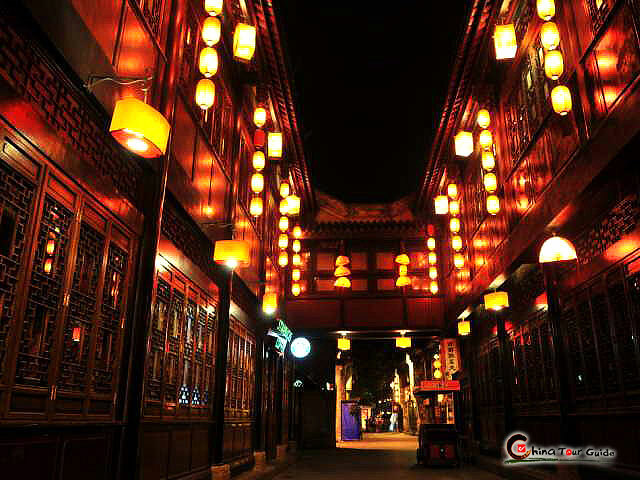 The 350-meter-long (1148 feet) Jinli Street is a historic area of importance. Extending from a gatehouse decorated with two red lanterns, the stone-paved street stretches with ancient-style buildings lined on both sides. The grey bricks and crimson columns of these two and three-story tea houses and antique shops are of classic beauty and primitive simplicity. Porcelain and folk handicrafts displayed in the shops are excellent for taking back to your family or friends as memorabilia of your time in the Orient. 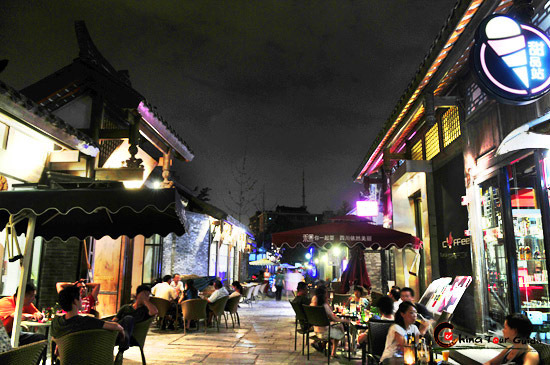 China's Lane is one of the three key preservation areas in Chengdu. 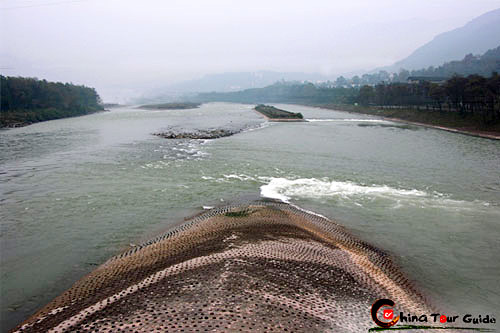 The local government renovated it and made it as entertainment venue for Chengdu people in recent years. After renovation, China's Lane (Kuan-zhai Lane) becomes another type of walking street with alleys full of shops, restaurants, pubs, teahouses, and more. Wandering through the China's Lane (Kuan-zhai Lane) and tasting Sichuan cuisine in the restaurant is an unforgettable experience. Most of Chengdu's larger bars are concentrated around Renmin South Road or West Yangshi Sreet, where you can find pubs, clubs, and even late-night bowling alleys. Kakadu Club, Glasshouse Pub, and the Red Ages Club are among the more popular destinations found in these areas. The foreign community centers around Carol's by the River, a low-key restaurant and bar, and Shamrock Bar and Restaurant, a pub-style taste of home complete with dart boards and a pool table.